The answer is simple: It’s Viton™ Sheet Rubber. Not a knockoff. Not a replica. Not an equivalent. It is the same product. 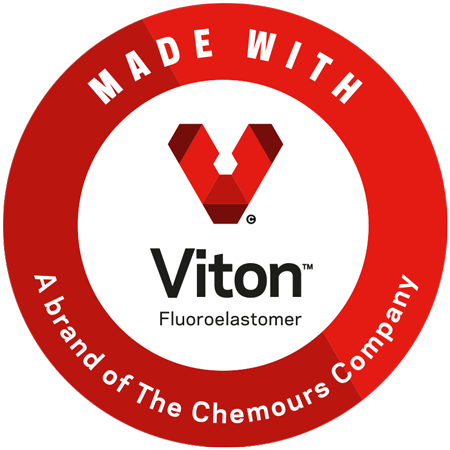 It is exactly what we once knew as Dupont Viton™ Rubber. It just has a different name and (see right) logo. Chemours is a recent spin off from Dupont, and they’ve finally rebranded this famous product into their own image. The material itself, however, remains unchanged: a made in the USA, top shelf, heavily specified fluoroelastomer with a temperature-corrosive chemical resistance combination that has no peer on the market. Specification Grade Silicone. Meets ZZ-R-765 and Mil-R-5847 specs. What does this mean for our customers? It not only means access to more material, but it also means quicker access to material. We pride ourselves on some of the quickest turnaround times in the industry and this facility will take that to another level. Don’t let your projects stall because you are short on rubber. Give us a shout and between our warehouse in Houston and, our now two in Ohio, we should be able to get you back on track in no time. To talk to one our customer service representatives please call 1-800-654-6518 or 1–800-569-2150. What Is Going On Between Thermodyn And Global Sealing? The last month has been a whirlwind. From the ISD Spring Tech Expo to the GFA and FSA conventions, it feels like we’ve been on the go all of April. It was not tiring. Rather, it was a lot of fun. And quite exhilarating seeing so many of you in such a short amount of time. It was great catching up, hearing about your needs as customers and sharing a few laughs. We look forward to helping you complete your projects during the upcoming year. One theme that kept repeating itself on all our stops was what in the world is going on between Thermodyn Corporation in Ohio and Global Sealing in Houston? When Thermodyn’s name appeared in front of Global Sealing’s late last year, most people assumed the former had simply purchased the latter. It’s a fair assumption, however the two companies have been linked from the get go. 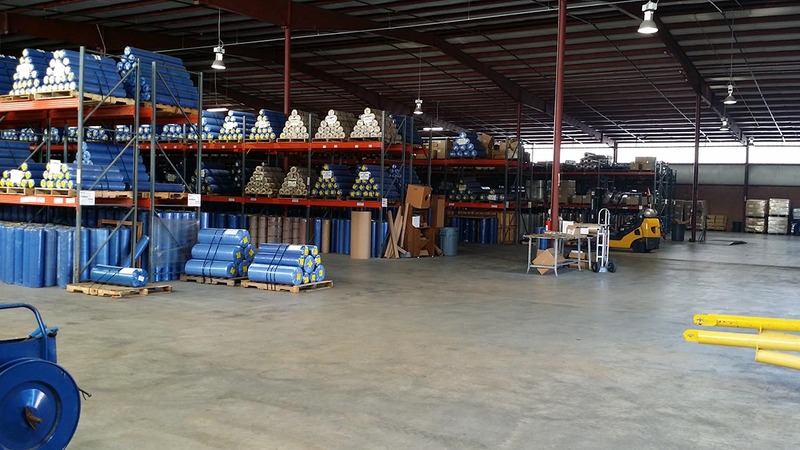 After 20 years in business on their own in Ohio, Thermodyn “expanded” and opened up Global Sealing in 1999 to serve the growing needs of oil and gas industry along the Gulf Coast. Over the years, Thermodyn has developed a reputation as the leading distributor for Viton™ FKM material and high quality, state of the art expansion joints. And Global Sealing became a go-to place to shop for all sorts of commercial grade rubber needs. There has always been a lot of crossover between the two and we’ve been helping each other and our customers behind the scenes all these years. Flash forward to the current day. It’s been an exciting stretch for Global Sealing. We’ve changed locations in Houston, moving into a new building on Homestead Avenue. We’ve re-organized our warehouse and inventory control. We’ve undergone a personnel makeover giving us a friendlier, more professional staff. And the last of these changes is finally marrying the two company names onto our Houston marquee: Thermodyn Global Sealing. It might seem like a simple cosmetic change, but we think it is a big deal. We’re capitalizing on the good record each company has already carved out in their respective fields to become more of a one stop shop for our customers regardless of if you call us in Ohio or Texas. 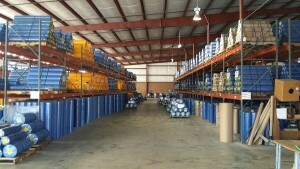 Our staffs at both facilities are well versed with our entire product line. Call us in Ohio. Call us in Texas. We’re waiting at both places to ensure your success is sealed. Viton™ Flouroelastomer is an advanced and complicated product. Determining which kind to best to use in your application can be an intimidating prospect for both first time and long time consumers of the product. Luckily we have a great, friendly sales staff that is more than capable of helping you wade through the waters. For our colleagues in the industry attending the International Sealing Distribution Spring Tech Expo in Clearwater, we’ll be giving a special presentation on the uses and advantages of Viton™ Flouroelastomer over other products in the marketplace. The Expo runs April 4th and 5th and will provide a high quality level of technical training and expertise from all corners of the industry. Our part of the show will be run by Jim Briggs, the head of our new Engineered Coated Fabrics Division. Jim has a charismatic, yet easy going public speaking style. He also has a wealth of technical expertise that will be on display during this event. His comprehensive presentation on the differences between various types of Viton™ Flouroeslatomer, which are best to use when and the overall benefits of using Viton™ Florouelastomer over some of the imitations that have hit the market in recent years. The whole event requires pre-registration, which can be done on the ISD’s website. The Technical Expo ends Tuesday morning in order to give the many attendees who are also attending the GFA Expo in Orlando later that night. Company Vice President Jeff MacMillan and Jim Falls, our national sales and marketing manager, will join up with Briggs at the Orlando event. We can’t wait to see everyone down in the Sunshine State. Boosting their new Engineered Coated Fabrics Division, Thermodyn Corporation hired industry veteran Jim Briggs to be the its new director. While a formal division devoted to that marketplace is new territory for Thermodyn, working with engineered coated products is business as usual for the northwest Ohio firm. Since opening its doors in 1979, Thermodyn has a long history of combing Viton with fiberglass, aramids and other diaphragm materials as well as using high tech coated fabrics in its expansion joint production. Thermodyn’s current line of engineered products include fully cured elastomeric coated textiles in a variety of weights, gauges, polymers and fabrics and focuses primarily on technically demanding temperature and chemical resistant sealing and pressure regulation applications. Briggs, whose formal title is Director of Engineering Coated Fabrics Division, is tasked with expanding the company’s footprint in the marketplace and engineering solutions and alternative applications for these products. He’s made sales calls in every corner of the United States and already has helped pull some of Thermodyn’s established clients out of a jam with his creative approach and contacts throughout the raw material supply chain. 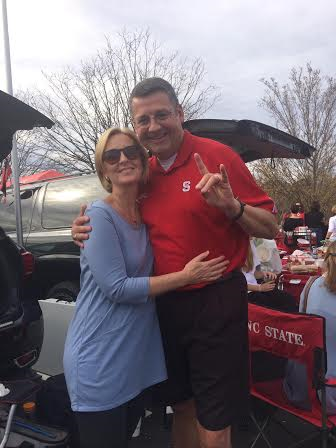 Jim and his wife April tailgating at the NC State-UNC game. The Heels won and Jim owed his wife a frozen yogurt as a result. Jim is down a lot of yogurts. Jim arrives at Thermodyn with 30 years of field experience with previous stints at Longwood Elastomers, Fiberweb and Fairprene. At that latter stop, Briggs earned a reputation for technical development and problem solving for a broad range of metering, gasket, medical and sealing applications. Briggs attended North Carolina State University earning a degree in Textiles. His unique educational background gives Thermodyn something it’s never had before–a degreed expert in the field. Company Vice President Jeff MacMillan said that while Thermodyn has always prided itself on having great, knowledgeable people representing the firm, Briggs gives them a level of in-house expertise they’ve never had before. Jim and his wife April reside in Elon, a beautiful small college town in North Carolina. They’ve been married for 21 years and have a son Chase, who attends Campbell University, and a daughter Ally, a high school senior. Jim is a second generation North Carolina State alum and lives everything Wolf Pack. April, however, is a UNC alum, so football and basketball gamedays are always interesting in the Briggs’s household when the Wolf Pack and Tar Heels tangle. Jim also enjoys church activities, improving his golf game, dining on eastern North Carolina barbeque and NASCAR. Speaking of which, Jim thinks Matt Kenseth takes the Great American Race in Daytona next month. Jim can be reached at 336-392-0912 and jimb@thermodyn.com. TH-718-TFEP is an AFLAS® elastomeric gasket sheet material manufactured only by Thermodyn™. Since its introduction to the gasketing industry, the TH-718-TFEP has provided excellent resistance to strong acids and bases. The addition of AFLAS® provides a full complement of chemical resistant products for gasket fabricators. Thermodyn Global Sealing has AFLAS® for those applications calling for a little more. Thermodyn Corporation has hired Jim Falls to be its national sales and marketing manager. Falls arrives at Thermodyn with more than 30 years of experience in the rubber sales industry. His previous stops include Birmingham Rubber and Gasket, Sepco Sealing and Texcel Inc., where he served in a variety of sales and product management positions. Falls brings an entreprenurial spirit to Thermodyn, having also begun successful startups within the rubber business. The Toledo based Thermodyn Corporation has been selling advanced polymers since 1979 and has been a longtime licensee and supplier of genuine DuPont Viton™. Known for their dedication to quality, Thermodyn is a leading manufacturer of high performance elastomeric materials for expansion joints, gaskets and seals. 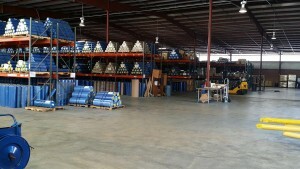 The company opened its Houston affiliate Global Sealing in 1999. 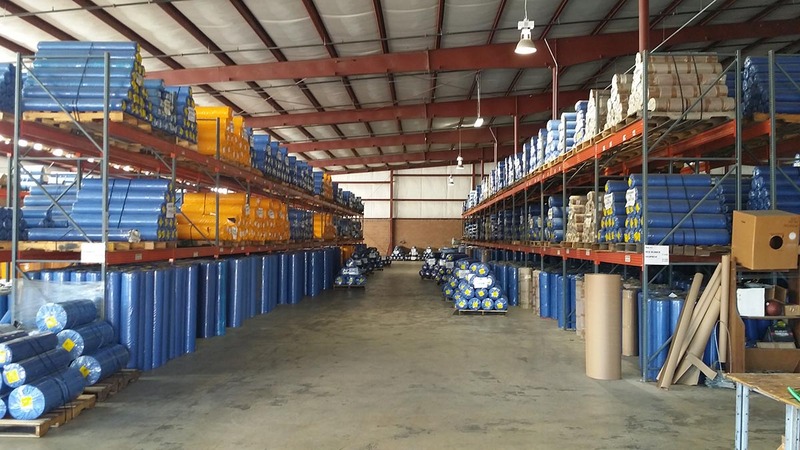 Rebranded Thermodyn Global Sealing earlier this year, the Houston store specializes in serving the oil and gas industry’s commercial gasket material needs. Falls new position puts him in charge of sales and marketing efforts for both of the company’s stores. Thermodyn Vice President Jeff MacMillan said he’s excited to parlay his long standing relationship with Falls with this new business opportunity. Try white, blue or brown. Thermodyn Global Sealing offers Viton® in various colors. A long established source of technically demanding sealing materials, Thermodyn Global Sealing gives sealing manufacturers help when working with FKMs. Black is one of the best colors for sealing products (mainly because carbon black provides a nice structural backbone), but when it gets confusing, or sealing producers are looking for ways to differentiate the seal, try Thermodyn’s FKM product line in Blue, Brown, White, and as always….. Black. www.thermodynglobal.com recently launched to offer the sealing industry a refreshing option for industry professionals seeking great cost effective opportunities in sealing products. The non-asbestos sheet product is strategically positioned to offer great performance and an effective price. With one of the deepest inventories available, and great technical service, the industry is sure to take notice of the changes!! Gasket fabricators can visit with Jim Falls, the new Sales and Marketing Manager for Thermodyn Global Sealing at the upcoming International Sealing Distributors meeting in New Orleans. Thermodyn will have a table at the supplier show case on Monday September 21st. The new table top booth display will be a nice addition to the Thermodyn marketing team tool kit.